The Rolling Stones will release “From The Vault: Live In Leeds Roundhay Park 1982” on DVD and Blu-ray on November 20. The finale of the band’s 1982 European tour in support of “Tattoo You” also marked pianist Ian Stewart’s last show before his passing in 1985 and the group’s final live performance for 7 years. The Leeds footage has been carefully restored and the sound has been newly mixed by Bob Clearmountain for this first official video release of the show. 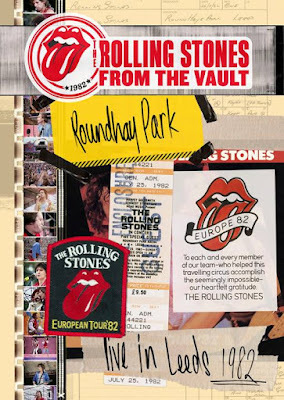 “From the Vault: Live In Leeds Roundhay Park 1982” will be available on DVD, SD Blu-ray, DVD+2CD and DVD+3LP.